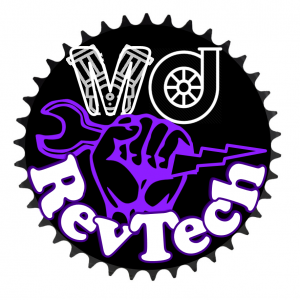 Welcome to MJ RevTech (formerly Eastbourne Motorcycles). We are a motorcycle service and repair workshop, based in Newhaven, East Sussex, with over 30 years’ experience of servicing, customising, restoring, tuning and repairing most makes of motorbikes, including (Honda, Harley Davidson, Yamaha, Kawasaki, Suzuki, Ducati, Aprilia, BMW, KTM, Norton, Royal Enfield, Moto Guzzi, CCM, MV Augusta, Cagiva etc), from Scooters to Super bikes. Within our workshop we have a comprehensive electronic diagnostic system to facilitate checks of the Electronic Control Unit (ECU) so that we can identify and correct electronic and wiring problems. The system also provides us with the information needed to rectify fault light issues, reset service lights, update and install relevant programs etc. We have a Dynostar rolling road from which we offer an extensive tuning menu, which includes gas flowing/porting, cam timing, jetting.and the installation of dynojet kits, K&N filters or one of our own bespoke turbo kits. All tuning and servicing work includes a Dyno test with load cell and full air fuel ratio which produces a print out of the “before and after” to show any increase in performance. All maintenance work, including welding (mild steel, aluminium, and stainless steel) is covered and most parts required can be supplied, if we cannot source them we can restore, repair or remodel them. We also offer a preparation for MOT service and can organise the test for you. Our extensive experience and plethora of practical ability can transform a standard motorbike into a bespoke street-fighter or customised chopper as we carry out most aspects of custom work and modification and can work with you to build the bike of your dreams. Some of our custom work has been featured in magazines including (Streetfighters) and on TV (Men and Motors).